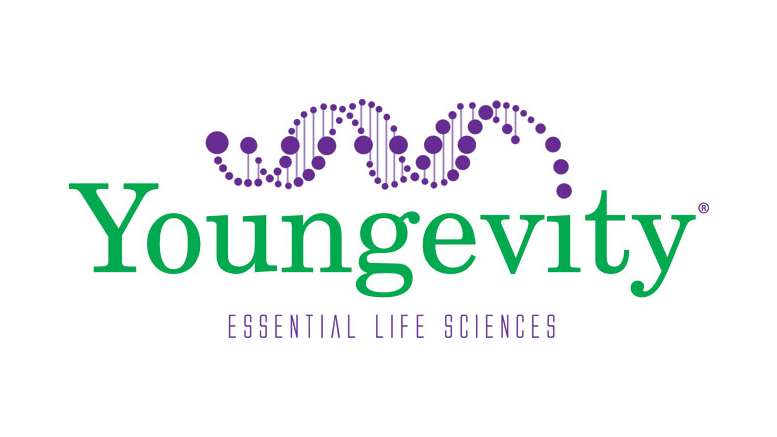 SAN DIEGO, CA–(Marketwired – Nov 11, 2016) – Youngevity International, Inc. (OTCQX: YGYI) (www.YGYI.com), a global direct marketer of a diversified portfolio of wholesome products and consumer services operating multiple subsidiaries around the world including a “field to cup” vertically-integrated coffee operation today reported financial results for the third quarter and nine months ended September 30, 2016. Coffee Segment records significant improvement in gross profit and operating margins. For the three months ended September 30, 2016, our total revenue increased 5.4% to $43.5 million as compared to $41.3 million for the three months ended September 30, 2015. During the three months ended September 30, 2016, we derived approximately 89% of our revenue from our direct sales and approximately 11% of our revenue from our commercial coffee sales. Gross profit for the third quarter increased approximately 5.3% to $26.4 million as compared to $25.0 million for the three months ended September 30, 2015. Gross profit in the commercial coffee segment improved, primarily due to increased margins in the green coffee business. For the three months ended September 30, 2016, our operating expenses increased approximately 7.6% to $25.8 million as compared to $24.0 million for the three months ended September 30, 2015. Sales and marketing expenses for the three months ending September 30, 2016 increased 34.0% to $3.2 million from $2.4 million for the three months ended September 30, 2015, primarily due to expenses related to the distributor annual convention held in the current quarter and increases in marketing related wages and expenses and customer service labor costs. General and administrative expense increased 7.0% to $4.5 million compared to the same period in the prior year, primarily due to increases in costs related to our international expansion, employee compensation and labor costs, amortization costs, computer related costs, travel costs, offset by a decrease in non-cash expense of $253,000 as compared to the same period last year. In addition, the contingent liability revaluation resulted in a benefit of $315,000 in the current quarter compared to an expense of $120,000 in the same period last year. For the three months ended September 30, 2016, total other expense increased by $545,000 to $577,000 as compared to $32,000 for the three months ended September 30, 2015 primarily due to the change in fair value of the warrant derivative liability benefit from $1.1 million in 2015 to $369,000 for the three months ended September 30, 2016. Net interest expense decreased by $155,000 to $946,000 as compared to $1.1 million for the same period last year. For the third quarter ended September 30, 2016, the Company reported a net income of $67,000 as compared to net income of $416,000 for the same period last year. For the nine months ended September 30, 2016, revenues increased 6.3% to $124.3 million as compared to $116.9 million for the nine months ended September 30, 2015. During the nine months ended September 30, 2016, we derived approximately 89% of our revenue from our direct sales and approximately 11% of our revenue from our commercial coffee sales. The increase derived from direct selling was primarily attributed to the increase in our product offerings, the increase in the number of distributors selling our product, price increases on certain products and the increase in the number of customers consuming our products as well as $4.1 million in additional revenues derived from the Company’s 2016 acquisitions. For the nine months ended September 30, 2016, gross profit increased approximately 8.7% to $75.2 million as compared to $69.1 million for the same period last year. Gross profit in the commercial coffee segment improved, primarily due to increased margins in the green coffee business. For the nine months ended September 30, 2016, our operating expenses increased approximately 9.9% to $71.9 million as compared to $65.4 million for the same period last year. For the nine months ended September 30, 2016, distributor compensation increased 7.6% to $50.9 million from $47.3 million for the same period last year. This increase was primarily attributable to the increase in revenues and increased distributor incentives. Distributor compensation as a percentage of direct selling revenues increased to 46.1% as compared to 45.8% for the same period last year. For the nine months ended September 30, 2016, the sales and marketing expense increased 25.2% to $7.6 million from $6.1 million in the same period last year, primarily due to an increase in convention and distributor event costs, as well as marketing and customer service labor costs. For the nine months ended September 30, 2016, the general and administrative expense increased 11.2% to $13.4 million from $12.1 million in the same period last year, primarily due to increases in consulting costs related to international expansion, travel expenses, website maintenance costs, insurance, bank fees and employee compensation costs, offset by a decrease in non-cash expense of $253,000 as compared to the same period last year. In addition, the contingent liability revaluation resulted in a benefit of $1.185 million for the nine months ended September 30, 2016, compared to an expense of $120,000 in the same period last year. Total other expense for the nine months ended September 30, 2016 decreased by $1.9 million to $2.6 million as compared to $4.5 million for the nine months ended September 30, 2015 primarily due to the change in fair value of the warrant derivative liability from an expense of $1.2 million in 2015 to a gain of $535,000 in 2016. Net interest expense decreased by $141,000 to $3.1 million as compared to $3.3 million for the same period last year. For the nine months ended September 30, 2016, the Company reported net income of $109,000 as compared to a net loss of $361,000 for the same period last year. The primary reason for the increase in net income when compared to prior year was due to the change in fair value of the warrant derivative liability discussed above, offset by a decrease in operating income discussed above and tax expense of $550,000 compared to a tax benefit of $431,000 in the prior year. EBITDA (earnings before interest, income taxes, depreciation and amortization) as adjusted to remove the effect of stock based compensation expense and the change in the fair value of the warrant derivative or “Adjusted EBITDA,” was $6.4 million for the nine months ended September 30, 2016 compared to $6.6 million for the same period last year. Adjusted EBITDA is a non-GAAP financial measure. We calculate adjusted EBITDA by taking net income, and adding back the expenses related to interest, income taxes, depreciation, and amortization, stock based compensation expense and change in the fair value of the warrant derivative, as each of those elements are calculated in accordance with GAAP. Adjusted EBITDA should not be construed as a substitute for net income (loss) (as determined in accordance with GAAP) for the purpose of analyzing our operating performance or financial position, as Adjusted EBITDA is not defined by GAAP. A reconciliation is provided at the end of this press release. Be the first to comment on "Youngevity International Delivers Record Revenue for Q3 2016"